Jeff Peelen is a multi-disciplinary attorney dedicated to helping clients by developing efficient processes and systematic solutions for addressing broad regulatory and legal challenges. Jeff is a past Chair of our firm's Public Finance group (a Midwestern powerhouse) and presently leads our firm's team focused on representing securities dealers. Jeff's emphasis is on serving as disclosure and underwriter's counsel to Municipal Securities Dealers Team — both for individual transactions of all sorts and across broad categories of transactions (e.g., all general obligations or municipal revenue obligations) for an underwriter in one or multiple states. Jeff's team also provides regulatory advice and represents securities dealers of all sorts in investigations, enforcement actions, arbitrations and litigation. Jeff is also the founder of our firm's Political Law group. Building on an interest dating back to his days as Editor in Chief of the Georgetown Law Journal, Jeff has developed a 50-state political law and government affairs compliance program with a national reputation. 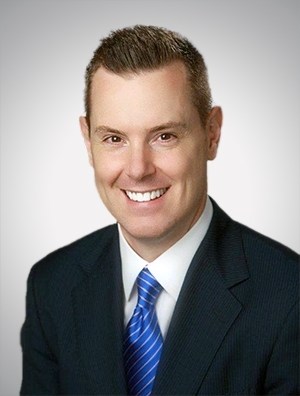 Jeff has held significant leadership positions within our firm — having served on the firm's elected Executive Committee, and leading the firm's recruiting efforts for the five years following the Great Recession — giving Jeff a broad perspective and making him an excellent counselor, strategist and client relationship lawyer. Jeff uses this experience and familiarity with the firm's overall footprint to help assemble and manage high performing teams — including, most recently, the firm's Automotive Industry Team. Jeff is a technology enthusiast, with an undergraduate degree in mathematics and computer science, and brings great energy to his work with clients he truly enjoys. Outside the firm, Jeff is the co-founder of SysSpark LLC, a technology innovation company that works with innovators to transform ideas into early stage software offerings. The son of an accomplished marathon runner, Jeff is also co-owner of Spire Fitness, an indoor cycling, rowing and strength studio located in Milwaukee's Third Ward. If you're brave, ask Jeff about his (not) patented "green juice" blend — which he claims is the secret to his modest athletic success. Jeff lives in Franklin, Wisconsin, with his wife Roxanne and their three children: Jack, William and Madeline.